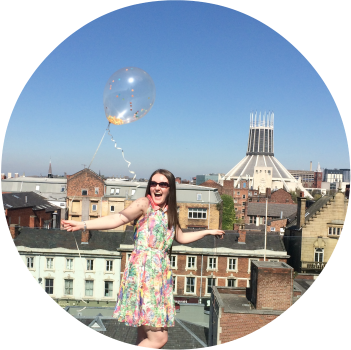 During 2017, Cass Art want to inspire you to be your best, creative self. Crafting, painting, drawing, modelling, anything and everything, they want you, and me to give it a try. I’ve never thought anything creative or artistic was really my thing. Sure, I love creating words, but creating things? Physical objects for display? Hell, I can’t even attempt a bullet journal because I don’t feel artistic enough. We are all creative. It’s not about being able to pick up a needle and thread and sew the perfect skater dress. It’s not about smashing up a ton of tiles and putting together a mosaic fit for a palace. It’s not even about drawing a face and it actually looking like a face. The act of creating is so much more than that. So what if the seams are wonky, the mosaic only makes sense if you squint and your portraits would make better fire fodder than wall hangings? Cass Art believe we are all artistic. And if nothing else, mucking in and getting your hands covered in modelling clay and paint is just fun! We spend so much time these days in-front of screens or behind a keyboard, I’ve forgotten the last time I actually got really hands on with something! I actually loved art in school, even though not much of what I made ever really made sense, just the physical act of making something was fun. 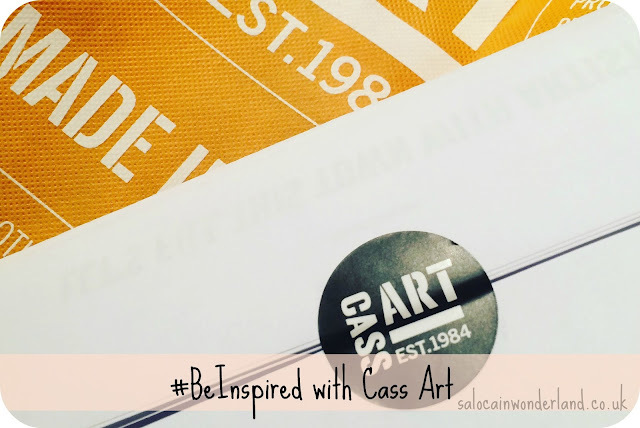 With all of this in mind, Cass Art sent out my first #BeInspired pack so I’m here to share what’s inside it! When I opted for the craft pack, I wasn’t expecting clay! Me? Clay? Modelling? Well, this really is what the #BeInspired challenge is all about! 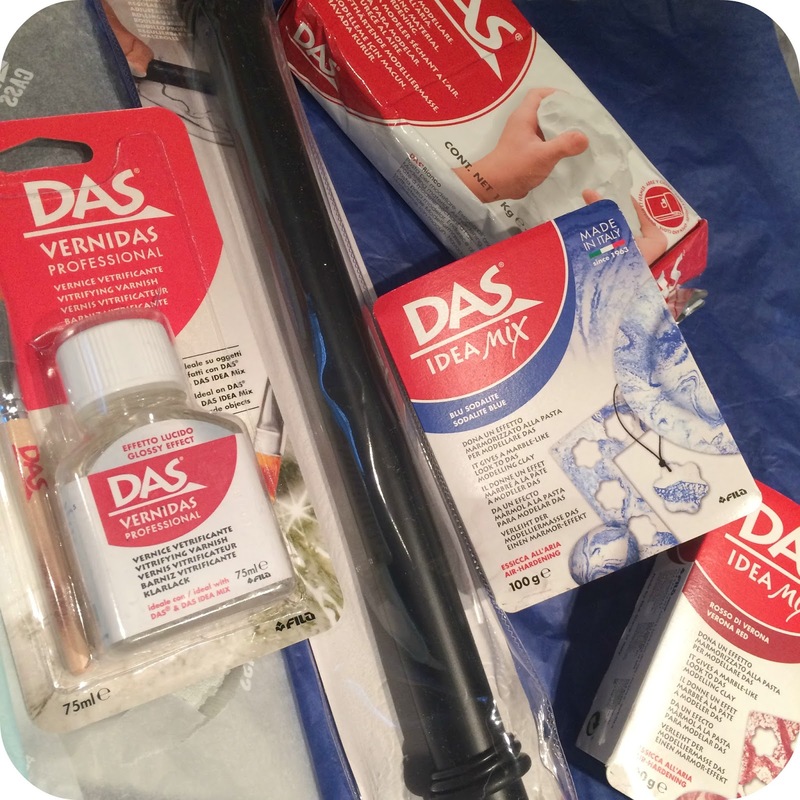 This Das clay is brilliant as it comes foil packed to lock in moisture. Once you’ve modelling your clay you simply leave it to dry - it air dries! No kiln or oven required, just air! Much more home-craft friendly if you ask me! Well, this is just genius! It’s another air drying clay but it’s coloured! You simply roll this into the white clay and it should make a coloured marbling effect! Ok, that will officially be very cool if it works! I’m crap with paint so hopefully this will make my clay work look a little more colourful and exciting! Well, you can’t roll clay without a rolling pin can you? This has three different thickness settings, meaning it’s basically doing all the hard work for me - so can I really go wrong? I see what you did there Cass Art! I see! You’ve basically dummy proofed my entire package! This varnish is designed to bring up clay to a sparkling finish, and especially enhances the marbling effect the Idea Mix creates! It air dries and comes with a brush so I don’t need anything else! All of these look relatively easy and they all look like things I would use/make really cute Instagram pictures with! With the amount of clay I’ve got I’m hoping I might be able to tackle at least two of these projects! 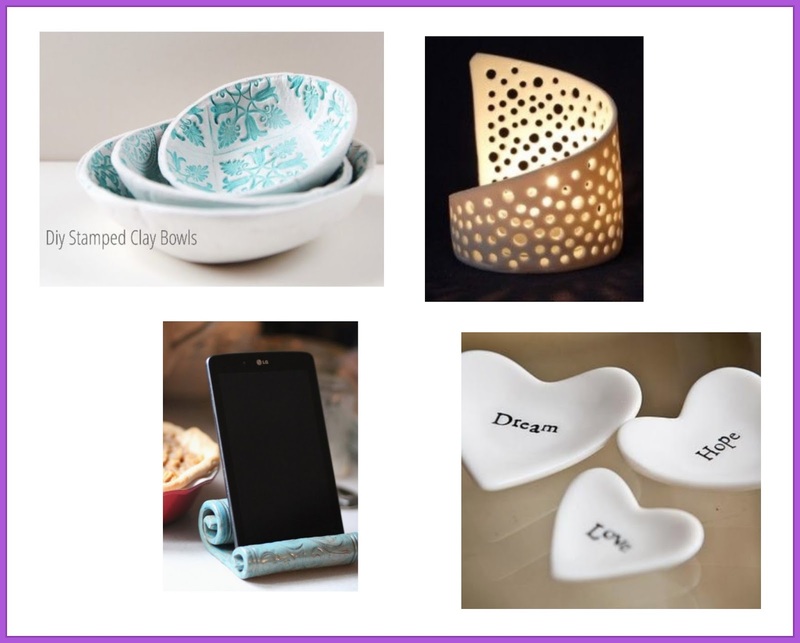 I’m leaning towards the bowls and the tea light, but I think the phone stand is super cute too! I’ll have to get rolling my clay out and see what happens! Make sure you check out the hastag #BeInspired to see what other creators are coming up with over the coming months, you never know what will inspire you! Do you plan on being more creative in the New Year? Of course! Can't wait to get my hands all clay-covered! Ooh, look forward to seeing the end results. I'll defo be doing a write up on the outcome! See how artsy I can get!